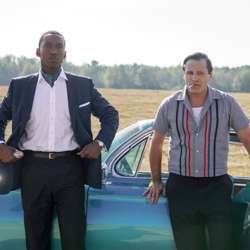 The movie tells the real life story of African-American classic and jazz pianist Don Shirley (Mahershala Ali) and his Italian-American driver and bodyguard Tony Vallelonga, a former bouncer (Viggo Mortensen). As they prepare for an eight-week concert tour through the Southern States in Protected content , Tony is given a copy of the "Green Book" by Don's record studio: a guide for black travelers in the segregated South. The movie will be shown in the original English version with German subtitles. The movie starts at 21:15. It might get a bit late to go for drinks afterwards, so let's meet and greet BEFORE the show.